While I delicately sipped coffee, stumbled blindly through French lessons, and leisurely window-shopped the streets of Paris this summer, Old Money Gal Number One (my wife) threw on a backpack and walked purposefully and relentlessly across southern France and the north of Spain. The ‘meseta’ will get your mind right. The most memorable of this group was Sven. 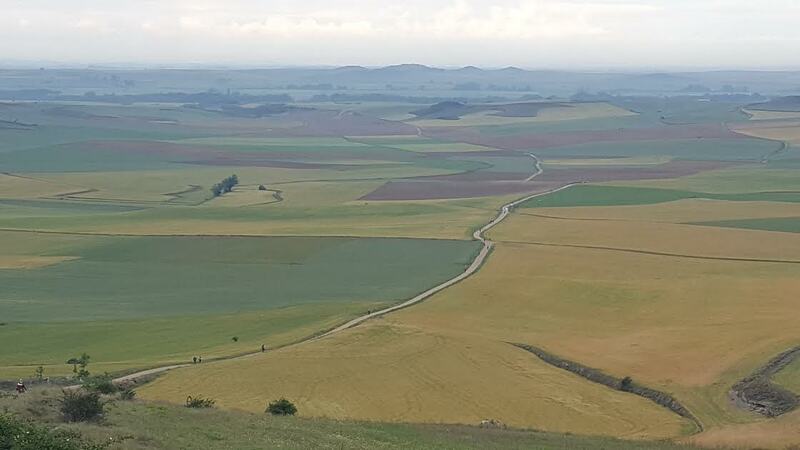 Having endured some tough times in his personal life recently, his children gave him the gift of the Camino. Near the end of the walk, Sven sat with my wife after dinner at one of the small albergues that host pilgrims as they pass through. As the sun lingered, just above the horizon. my wife commented to Sven that, in spite of the ‘tough times’ he said he’d gone through lately, he now seemed genuinely happy. Sven smiled and recounted an experience he’d had just a few days before. He had finished a day’s walk from one small Spanish town to the next. As was his practice, he dropped off his backpack at the local accommodation, and searched for a church nearby. He had entered, like so many days before on the Camino, lit a candle and knelt to pray near the altar. The same sadness and fatigue hung on his shoulders as he whispered a prayer, aching from the day’s long walk. The thought that crossed his mind, he recalled, was that he’d never felt so alone. On this particular day, at this moment, however, Sven said he felt someone watching him from the side of the chapel. He slowly lifted his head and turned, squinting in the shadows. He told my wife about seeing a man, dressed in a white robe, a few yards away from him. My wife shared this story with me after I’d spent some time with Sven, the rock-solid, stable, and sensible Swede. His demeanor seemed typical of the people who bring us reliable, functional brands like Ikea and Volvo. He was the farthest thing from a religious fanatic. I doubt he would ever be considered to be psychologically unstable. What he is, I can tell you, is happy. His faith has been renewed. He’s looking forward to the future. And to doing another Camino. Good for you, Sven, and congratulations, darling. Well done. Beautiful story, Byron. You’re always so inspiring…and now you have some inspiration competition…your wife. Congratulations to her. What an inspiring story and an amazing accomplishment. Camino is added to my bucket list. Beautiful reflection, Byorn — thank you for sharing with your audience. What a wonderful story. Thank you for sharing it! What a beautiful story, Byron. Thank you, as always, for sharing your gift of writing and reflecting with us. I have been away from your blog for awhile and was so happy to come across this post. “The people who walked in darkness have seen a Great Light.” I am so happy for Sven…that he walks in the light. Sounds like he said it with such confidence too. That is a true Gift…but even better…it needs to be shared, so thank you for sharing! This is just another reason I want to walk the Camino.